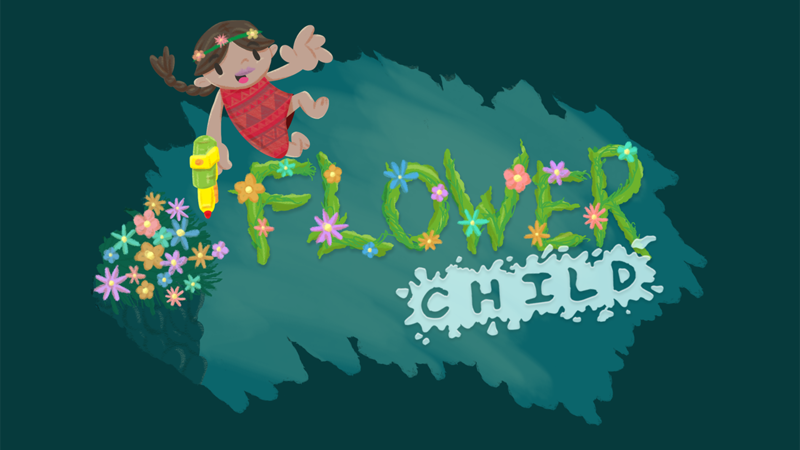 Flower Child is the story of Meadow, a carefree, young spirit who suddenly finds herself lost beneath the pastures she once wandered. Rife with narrow cliffs and slippery sludge, she navigates the darkness using her agile limbs and quick reflexes. Armed with a single water-blaster, she must transform filth into flowers, lest she get stuck in the mud. But with the blossoms rapidly wilting below her feet, can she make it? 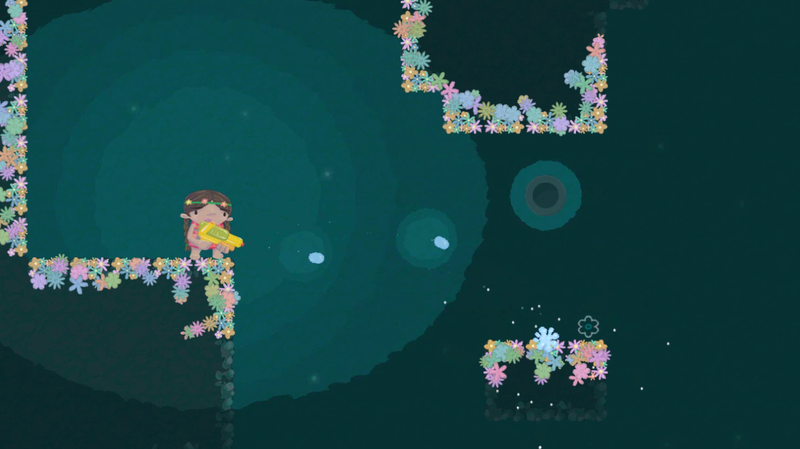 Flower Child is a run, jump, and shoot platformer game that involves guiding your character, Meadow, through a dark and dangerous cave. 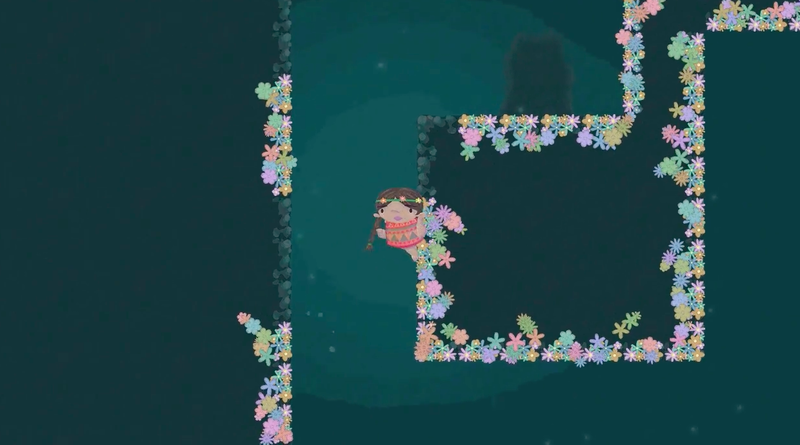 Meadow can only travel atop ground covered with flowers. 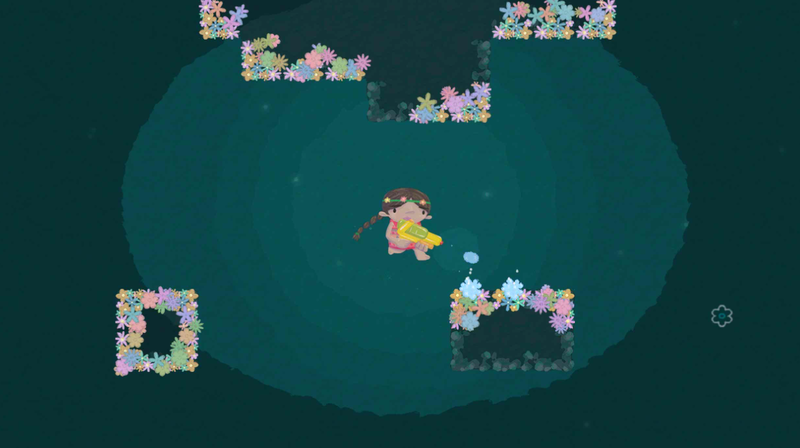 Luckily she's able to create flowers after recovering her water-blaster. 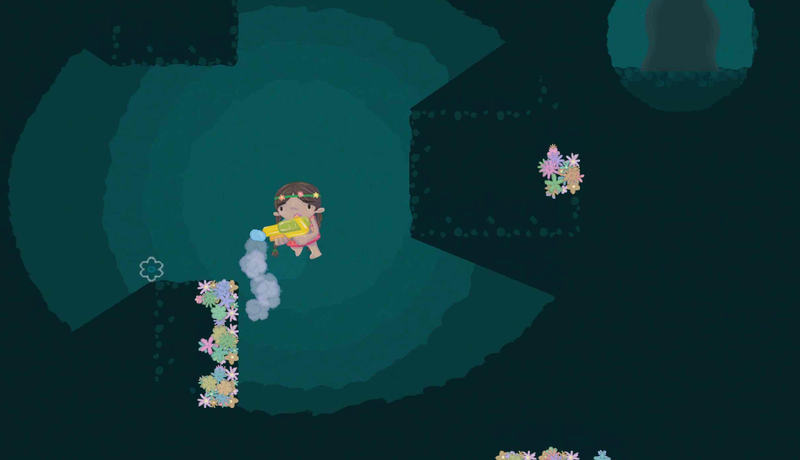 WASD controls Meadow, while the mouse aims and fires her water-blaster. P pauses the game. Laserhosen is a husband and wife team based out of Austin, TX.